PART EIGHT - THE FINALE! check out all the previous installments of the "Dream Team." 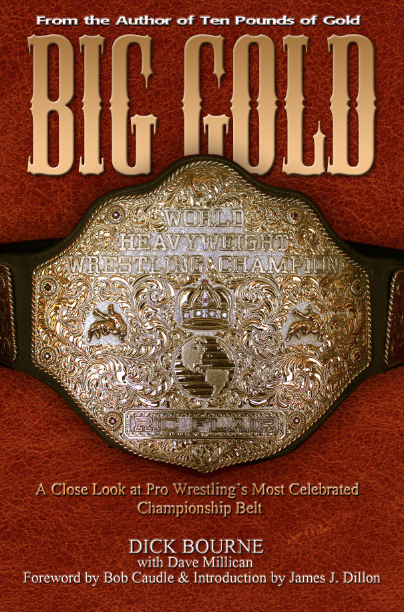 As the Thanksgiving holiday season of 1982 approached, Ric Flair reigned as the NWA World Heavyweight Champion and Greg Valentine was the United States Heavyweight Champion. 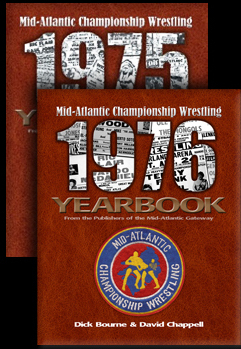 Greg was a rulebreaker on the Mid-Atlantic Championship Wrestling roster, while Flair was also breaking the rules and was visiting the Mid-Atlantic area. 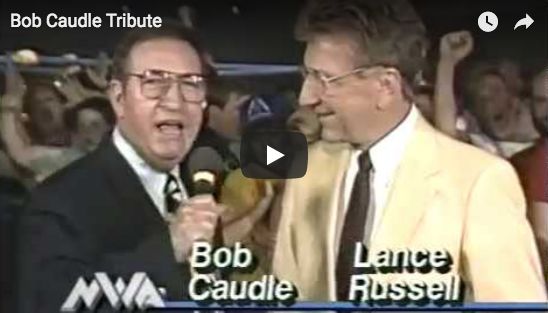 On the Mid-Atlantic Championship Wrestling TV show that was taped at the WPCQ studios in Charlotte, North Carolina on November 24, 1982, Ric Flair put on an amateur wrestling exhibition for the fans, while Roddy Piper was commentating on the TV broadcast with Bob Caudle. Flair lured Piper into the ring, claiming he would teach Roddy how to be an amateur wrestler! Piper had no problem climbing in the ring with Flair, and actually got the better of the World’s Champion in their amateur wrestling sparring. 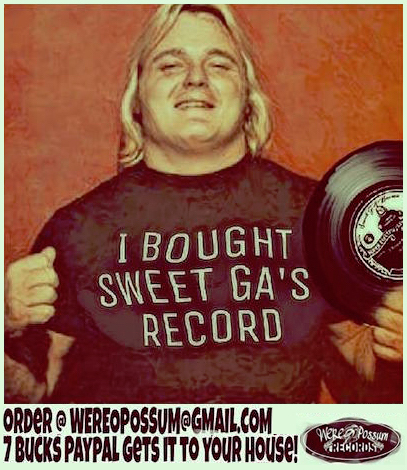 An embarrassed Nature Boy then suckered Roddy, and with the help of his old pal Valentine rubbed Piper’s face raw in the mat and on the concrete floor. 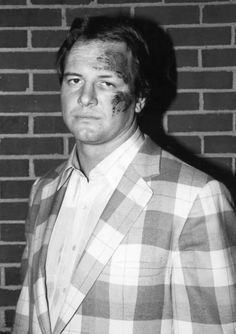 “Cowboy” Bob Orton, Jr. came in to save Piper from further injuries, but significant damage to Piper’s face had been done. Flair and Valentine battled Piper and Orton in Richmond on November 26th, and things were definitely heated between these four. 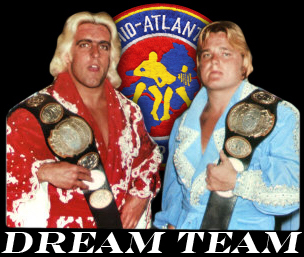 In fact, things got a bit too hot and heavy for the newly reformed “Dream Team,” as Flair and Valentine were counted out for not returning to the ring after a particularly torrid exchange. 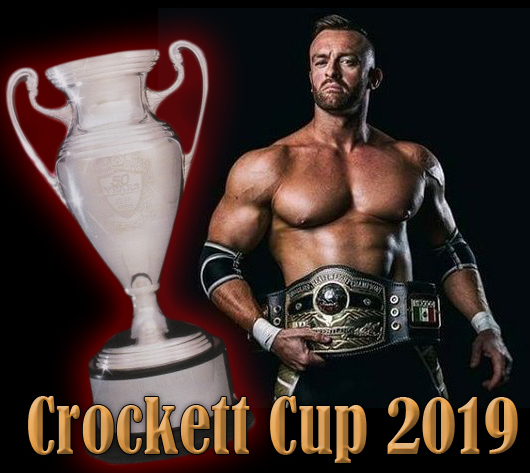 These events led to a rematch in Richmond on December 10, 1982, but this time with the stipulation that the participants would be locked within the confines of an unforgiving fence! A showdown it surely was, and the Dream Team battled ferociously in the steel cage, but Piper and Orton came out on top in Richmond, and the Piper/Orton team followed the Richmond showdown win with victories over Flair and Valentine in Columbia at Township Auditorium on December 28th, at the Norfolk Scope on December 30th and at the Roanoke Civic Center on January 2, 1983. 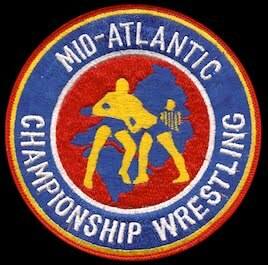 Ric Flair and Greg Valentine teamed once more in a major Mid-Atlantic match, losing a decision to Ricky Steamboat and Jay Youngblood on February 20, 1983 in the Greensboro Coliseum. 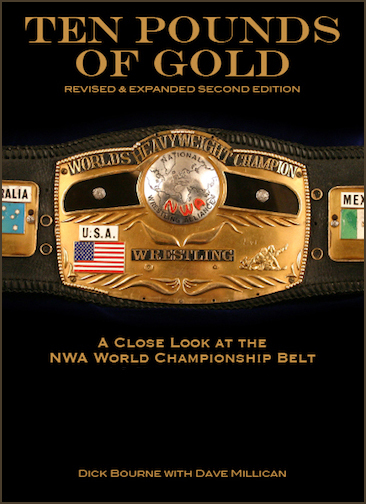 After that, the two Dream Team members began wrestling each other again, the first such bout being a match for Flair’s NWA World Heavyweight Title, where Ric and Greg went to a sixty minute draw as part of the famous “Final Conflict” card in Greensboro on March 12, 1983. 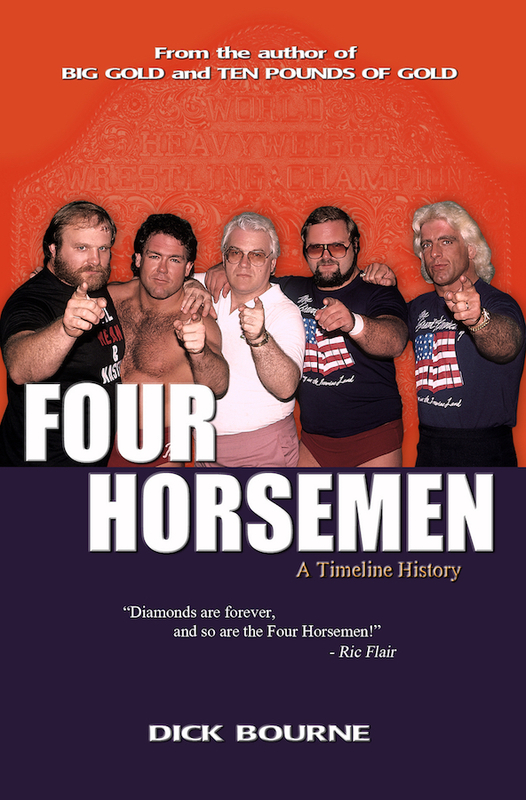 And as the pages of the calendar continued turning, Flair and Valentine would start going their separate wresting ways, and their dynamic tag team receded into memories and history. 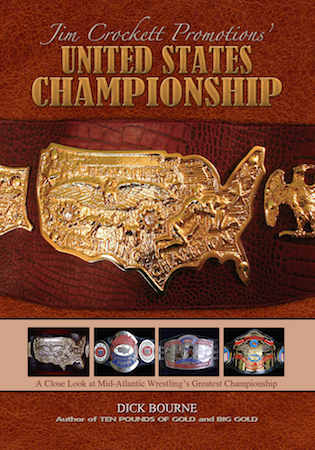 The Mid-Atlantic “Dream Team” of Ric Flair and Greg Valentine provided fans countless numbers of thrills during the heyday of Mid-Atlantic Championship Wrestling. 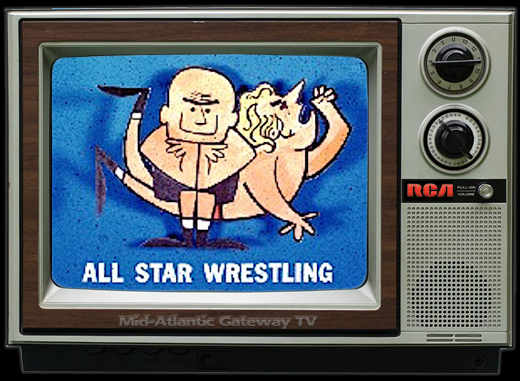 Never in the history of the Mid-Atlantic era did two extraordinary singles wrestlers the caliber of Flair and Valentine combine their individual talents as regular tag team partners. If their focus had been exclusively on tag team wrestling, the sky would have been the limit. 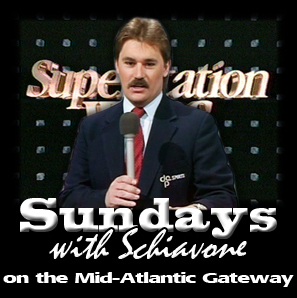 As it turned out, Mid-Atlantic fans saw dream-like magic whenever these two decided to join forces. 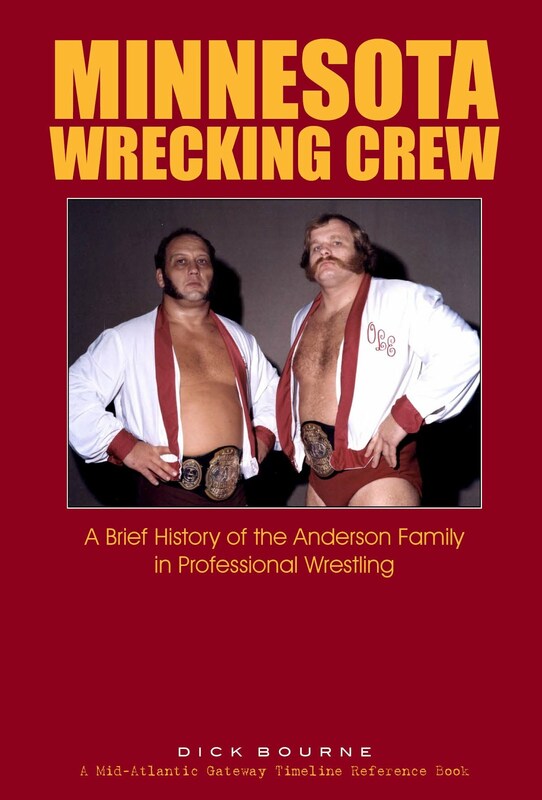 Love them or hate them, witnessing Ric Flair and Greg Valentine combine their exceptional talents into a brutal and efficient tag team machine was a wrestling fan’s dream, a dream that none of us ever wanted to wake up from.